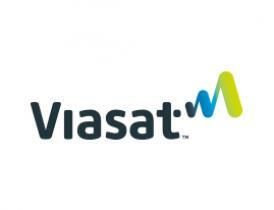 ViaSat is our exciting new satellite broadband service. This new service offers speeds of up to 30 Mbps download and 3 Mbps upload. Prices start at just $69.99 per month. ViaSat is transforming satellite broadband by offering a web experience similar to many wireline services. Viasat service integrates ViaSat-1, the world’s highest capacity communication satellite, with our next generation equipment which has been optimized for the fastest page loading and high quality video streaming. Viasat satellite broadband service is the fusion of the newest and most advanced satellite in the world, cutting-edge equipment and a brand new state-of-the-art web browsing acceleration optimizing technology. We’ve also constructed an entirely new network infrastructure on the ground that further enhances your internet speeds. When you sign up as an Viasat internet customer, you also get a brand new modem that contains new technology to make your web browsing faster. All of this is designed to give you the super-fast speeds you need to do more on the internet and to do it quicker than ever before! Surf the web the way it was intended – snappy and FAST! Professional Installation by an Viasat-authorized technician! Exede is a service mark of ViaSat, Inc.